Lee Hooper - Call on Dolly! Lee Hooper came into the original Broadway run as a replacement ,taking over for Barbara Sharma. Barbara was considered a triple threat. She was leaving the show and a mutual friend of hers and friend of Lee’s, Lee had worked with in Paradise Island a few years prior), called Lee to tell her that there was an immediate replacement. Mary Tyler Moore and Richard Chamberlain rehearsing Tiffany’s during the pre-Broadway run. At first, Lee resisted. She said no one would ever hire her. She was a singer who “thought she could dance”. At her friend’s insistence, she decided to give it a try. The original cast was still in place. Lee does not recall how far into the run this was. Lee stayed with the show until she was cast in Breakfast at Tiffany’s which was also a David Merrick show. This was in 1966 and directed by Joseph Anthony . It never formally opened after four preview shows. The musical is based on the Truman Capote novella and 1961 film of the same name about a free spirit named Holly Golightly. The musical had a book by illustrious playwright Edward Albee and a score composed by the equally notable Bob Merrill. 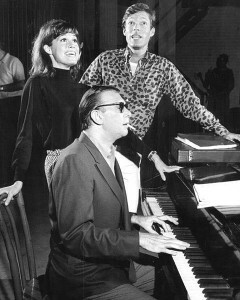 Lee’s FIRST Broadway show was Kwamina starring Sally Ann Howes and Terry Carter in 1961. Sally Ann’s husband, Richard Adler, wrote the music. She would go on to do Paradise Island at Jones Beach, also in 1961, with Arthur Treacher. Lee was also in Retake the Town among others. Her favorite show was Bernstein’s Mass. When Lee auditioned for Dolly, she auditioned for Lowell Purvis and Lucia Victor. Her audition song was Till There Was You which she sang at most of her auditions. In those days, replacements would go in and watch the show from the audience to see what it was like and all about. When she started rehearsals, a few ensembles were brought in to teach her her moves and tracks. The dance captain worked with her as well. For Lee, it was a lovely experience working with Carol Channing. Everybody adored her. They didn’t get to see her much except when she was performing. Her life was very different from the rest of the company’s. Lee also worked with Ginger Rogers when she came into the show. Ginger was very good. Dolly Levi lends herself to any actress who plays her. The show pretty much plays itself. All of them were very good as far as Lee is concerned. Everybody knew their part. Ginger just needed to come in and do her part. After Breakfast at Tiffany’s closed, Lee rejoined the Company when Phyllis Diller took over after Pearl Bailey. Lee would stay with the show until Ethel Merman came in. At that time, Merrick was trying to keep it running in order to surpass My Fair Lady’s hold as Broadway’s longest running show. didn’t want to go home after the curtain came down. They would finish the show and then do a third act, a whole show of their own. Everybody in the company loved Phyllis. At the time, a big fashion trend was floor length scarves. Everyone in the cast, be it man or woman, had to create a little square, either knitted or padded, or croched. Someone in the wardrobe department put all of the squares together. It was given to Phyllis when she left the show. She wore it on a television talk show years later. It was quite interesting. In Like a Lampshade In a Whorehouse: My Life In Comedy by Phyllis Diller, she talks about this company. Everybody had so much respect for Ethel Merman. She was a goddess; she WAS ETHEL MERMAN! The play, itself, never changed around a new star coming in with very few exceptions. 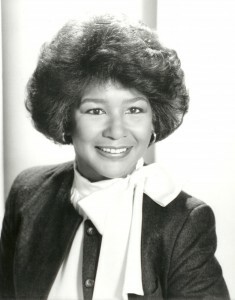 For Ethel, the two songs that were originally written for her but cut when Carol was cast were put back in the show adding an additional ten minutes to the show. The stars brought themselves to the part and the show. The rest of the company always did what they did. Lee doesn’t feel there should be an age limit for an actress playing Dolly. It goes beyond age. The first time Lee saw the show, she recalls how pretty it was and that everyone on stage was beautiful and the dancing was sparkling. She remembers feeling so pleased and happy that she would be joining them to be in the cast because they seemed so special. She is lucky that she survived her first night. In the train station, the scenery changes to reveal the front of Mrs. Molloy’s hat shop. Above the train station is a sign that says Yonkers that comes down to reveal the name of the station. On either side of the sign were steel rods. Lee was very observant of the other players on stage and where she fit in. What she didn’t notice was the sign coming in with the steel rods from either side. That night, she was under the steel rods! As it was coming down, she was grabbed. She was pinned to the floor. Everyone is still dancing. No one stopped! Someone eventually got her up and she did her next moves…getting onto the train upstage. When she got downstairs and they saw her, there was blood on this beautiful blue gown. One of the rods had gone through the material and cut her arm. The head of the wardrobe department had made this gown for Lee. It was exquisite. However, now, it had blood on it. The head of the wardrobe department said, That’s it! I’m leaving the show! !” Of course, he was joking. That was the worst moment of all of her time with Dolly. Everything else was wonderful. The audience saw it; perhaps they thought she was supposed to fall down and be pinned to the floor. It was all so special and she loved being a part of it. She felt that she had been given a gift. In addition to Sunday Clothes, Lee also appeared in Before the Parade Passes By. Not being a dancer, she did not appear in Dancing. She also appeared in the courtroom scene. She took dance classes and was told she moved well for a singer. In those days, they didn’t think singers could do anything but stand still to begin with. Being in a hit Broadway show did not mean, to Lee, that she could just rest on her laurels. She was still out there auditioning for commercials during her breaks, radio and television, whatever would come along. She also had a small child at the time and sometimes she was in the theater as well. In addition to all of that, she continued to take dance classes. The cast became like a family. They wanted to have a Christmas party at one time. To offset the cost of the party, someone came up with the idea of taking unwanted items from everyone’s homes and auction them off. In the basement of the theater, the items were on display. Everyone brought in items. David Merrick got wind of this and everyone in the company got scared of what his reaction might be. Perhaps he would think of people were focused on this, they might not be doing their job on stage. He came down and was very supportive. bought him a bike for Christmas. She doesn’t know how that played out when the show ended. That party was a wonderful night. Lee would like to see Cher play Dolly in a Broadway revival! She thinks it would be a hoot. Lee has never seen another actress play Dolly beyond the four that she worked with. She, unfortunately, never saw Pearl Bailey’s production. 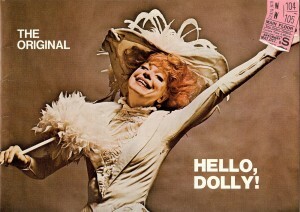 Lee cannot imagine Hello, Dolly not being on her resume. When the show closed on December 27th, 1970, there was great sadness among the Company. For many, it meant pounding the pavement once again. They all knew, however, that having Hello, Dolly on their resume was a plus. She continued to work. She was also in Seesaw and Lost in the Stars in 1972, among others. Lee feels that Dolly included some of the greatest talents that Broadway has ever known. She was lucky enough as a singer…wishing she was a dancer. It was a sterling cast and that made Lee feel like she belonged. Lee is no longer in the business. She tutors at The New York Law School. She is a staff member for Conventions in New York City at the Javits Center and major hotels. The day came in which she knew she had to do something else. She was a single parent. It reached a point where ALL she cared about was the calls from her agent. Getting the next job was her life. She felt she needed to do something that was as interesting to her as her theater experiences. She went into travel which is another form of theater. An actor gets to do a lot of shows if they are lucky. Out of those shows, there are some that will always stand out. Hello, Dolly is one of them. Thank you Lee Hooper for the gifts you have given to the world and continue to give!